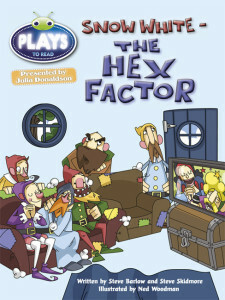 Grouchy, Jumpy, Soppy, Boastful, Chatty and Dozy are watching Snow White on the Hex Factor. They remember the days when she used to sing to them – before fame called! Then someone arrives at their cottage… Who can it be? 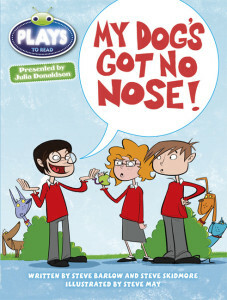 My Dog’s Got No Nose! So how can he smell then? That sounds like the beginning of a joke – and it is! Ben is trying to tell his mates a great gag, but they get the wrong end of the stick… Or do they? The 2 Steves Say… “We loved taking the idea of someone trying to tell a joke and the other people not getting it! (not that it has ever happened to us of course!). 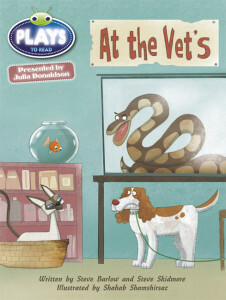 The 2 Steves Say… “We once wrote a play about animals called ‘Ten Green Bottles’ – this one is a lot funnier though! 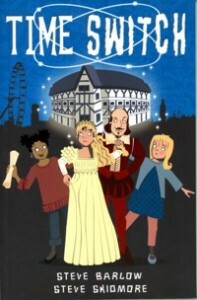 When Bev and friends go to audition at the Globe Theatre in London, they don’t expect to be spirited back to the year 1600. Plague is sweeping London and Shakespeare’s theatre company need young actors. But is Tim a good choice to play Juliet? And can Bev and Hayley prevent murder most foul as a jealous rival plots his revenge? 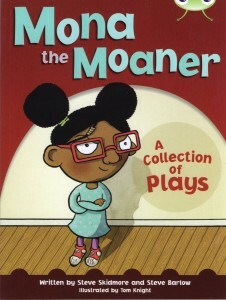 Mona is the world’s greatest MOANER! A day at the seaside is BORING. Losing your Gamestation is TRAGIC and BORING! Mona is going to moan, moan, moan about everything… or is she? Hercules has been a very naughty boy. To make up for it, he’s given a number of jobs to do by the Greek Gods. But there aren’t the easy go-down-to-the-shops or wash-the-dishes type of jobs. These are worse – a lot worse! Getting them done is going to mean work, work, work! The 2 Steves say… “Monsters! Heroes! Gods and Goddesses! The myths of Ancient Greece are full of these and more beside. We’ve always loved reading and writing about them. 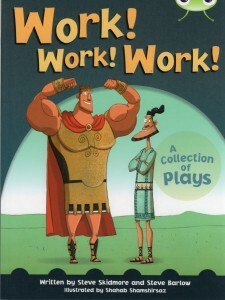 One of our favourite myths is the Labours of Hercules (or Heracles in Greek).